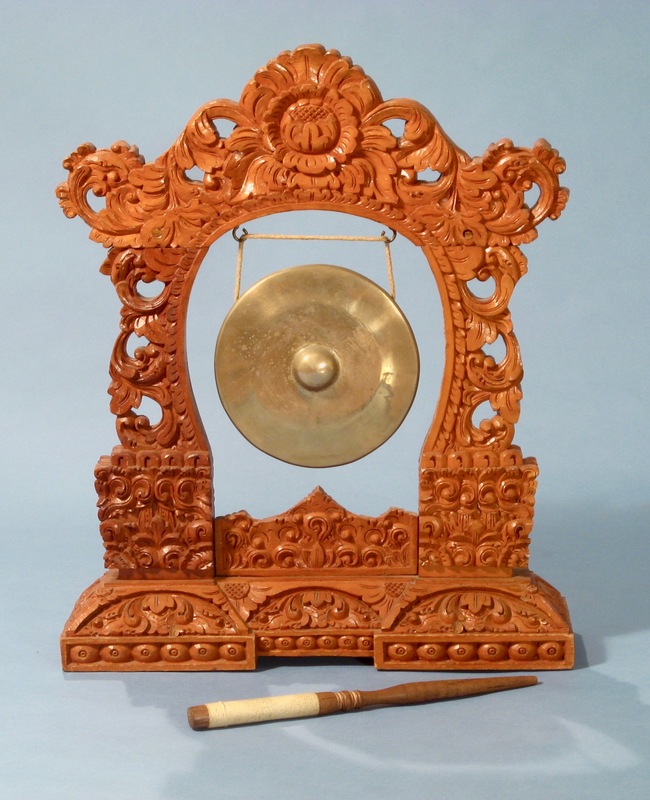 The most common and best-known Balinese gamelan orchestras are the Gong Kebyar and Semar Pegulingan orchestras. These are tuned to the pelog scale. Pelog is a seven-tone scale. 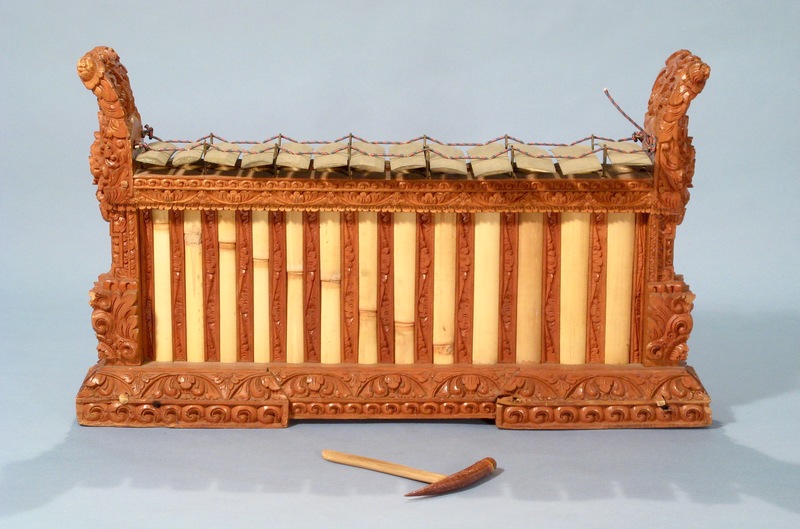 However, seven-tone orchestras are very rare; almost all gamelan orchestras are tuned to one of the five-tone derived scales (as if you have a piano tuned in c major or f minor, with the rest of the keys left out). The scale “selisir” is the most common; this scale leaves out the fourth and seventh notes. 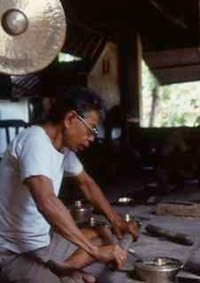 In tuning their gamelan orchestras, the Balinese do not use a standard pitch. In Western classical music A is tuned to a frequency of 440 Hz (vibrations per second). 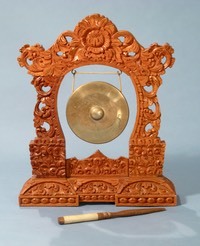 In Bali the pitch of the note “ding”, the starting note of the scale (the notes are called “ding”, “dong”, “deng”, “dung” and “dang”) may vary widely between orchestras. The first graph illustrates this with some tunings, measured by Colin McPhee in the 1930’s (published in his Music in Bali) and by myself, some 60 years later. The difference in sound between gamelan orchestras is best illustrated by comparing several orchestras playing the same piece. Here, five gamelan orchestras play the opening part of the melody Condong Legong, the beginning of the dances Legong Lasem and Legong Keraton. Each fragment is about thirty seconds. So, Bali does not have a standard pitch for its gamelan orchestras. But as is clear from the above examples, neither is there a standard interval. The distance between the notes varies as well. This shows clearly if we set all “ding”-s of the first graph to the same frequency. Then one orchestra’s second note (“dong”) proves to be the same distance from “ding” as another orchestra’s third note (“deng”). Still, as the graph shows, some orchestra’s scales - if not their pitches - are quite similar. 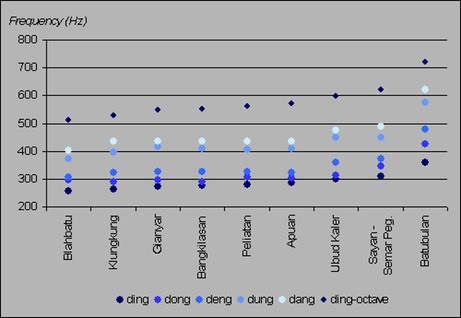 If we transpose the tunings to let “ding” equal Western C (262 Hz), all the tones of the Bangkilasan, Gianyar and Ubud Kaler gamelans prove to be nearly equal (within 4 Hz) to tones from the Western scale. So, it is possible to play gamelan melodies from Bali on, for instance, a piano. Take a music score, substitute 1, 2, 3, 5 and 6 by C, C#, D#, G and G#, respectively, and play.